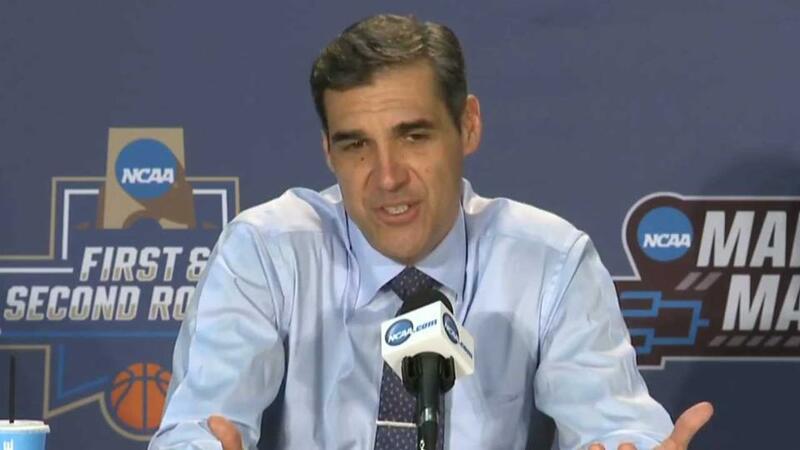 Villanova beat No. 15 UNC Asheville 86-56 in first round, beat No. 7 Iowa 87-68 in second round; Miami (Fla.) beat No. 14 Buffalo 79-72 in first round, beat No. 11 Wichita State 65-57 in second round. The Wildcats cruised to easy wins in the first two rounds, partially because they were quicker and more athletic than their opponents. That won't be the case vs. Miami, and 'Nova has struggled this season against teams with good length and athleticism. Guards Josh Hart and Ryan Arcidiacono are going to be forced to work hard on the defensive end to stay in front of the Hurricanes' guards, and that could become an issue late in the game when fresh legs are important. Offensively, Hart can get to the basket at will, and Arcidiacono brings a steady hand that helps Villanova excel in the halfcourt game. The Wildcats will need to get plenty from forward Daniel Ochefu, a tough rebounder who can stuff a box score. He doesn't have to score to make an impact, and if he can rebound and defend well, Villanova will be in good shape. Guards Angel Rodriguez and Sheldon McClellan played on a different level than everyone else on the floor during Miami's second-round win over Wichita State, and when that duo is rolling, the Hurricanes can be destructive. Rodriguez scores inside and out, and he has a habit of demoralizing opponents by making shots late in the shot clock. His athleticism makes it tough to stay in front of him, and he's unstoppable in transition. McClellan is the perfect second option because of his ability to cut to the basket, and he's a quality defender to boot. The key will be for forward Kamari Murphy and center Tonye Jekiri to control the glass and allow Miami's break to get moving off missed baskets. The Hurricanes can be suffocating on defense, and if they can create turnovers, they will be moving on. The Wildcats have been great all year, but they will have a tough time dealing with Miami's quickness in the backcourt. Look for the Hurricanes to try to push the tempo while 'Nova tries to slow it down, and Rodriguez's ability to impose his will on a game will be key. If Miami controls the tempo, Villanova is going home.